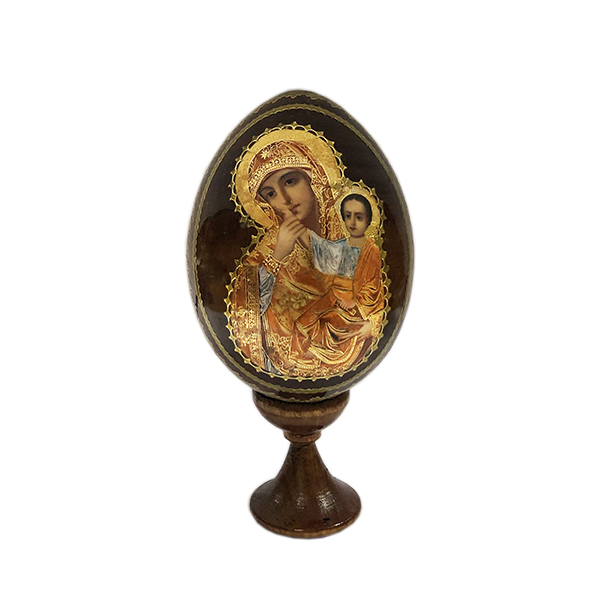 Wooden handmade eggs decorated with the Orthodox icons are a great gift for an Easter and church holiday. It will also become a meaningful and beautiful addition to your interior. The egg depicts famous icon which was created in The Holy and Great Monastery of Vatopedi in Greece. Vatopedi Holy Mother is also known as Icon of Joy and Comfort.